Noted Pain Advocate Cindy Steinberg has been appointed to the newly established Pain Management Best Practices Inter-Agency Task Force. 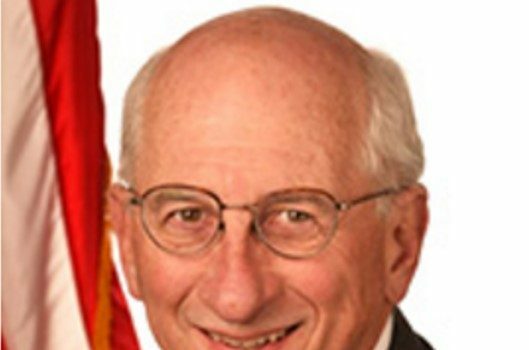 Steinberg is national director of Policy and Advocacy for the US Pain Foundation. She is the only person among the 28 members appointed by the US Department of Health and Human Services (HHS) to serve in a patient organization. We had a few questions for her. I live with severe chronic pain due to SEVERE SPINAL STENOSIS. This past January 2018, I stopped all opioid drug treatment, ON MY OWN, no rehab, no assistance – well, some assistance from my primary care physician. No one, NOT ONE doctor, nurse, ANP or even a receptionist contacted me to see why I stopped coming to the pain clinic or to check and see if I was even ALIVE! Sorry, pathetic excuses for doctors. I could go on and on and on… But, everyone has a story. Sadly, most will never be told or heard. All they are concerned with, now, is not co-prescribing benzodiazepines with opoids. Anyone with half a brain knows that anxiety and chronic debilitating pain exacerbates anxiety. And, the danger of mixing the two can be a proven recipe for death. HOWEVER, with careful monitoring and cautious prescribing, the two can effectively be used in concert. TRUE. It happened to me, more than once. This is insanity and a clear violation of patient rights and an obvious disregard for the Hippocratic Oath – more appropriately. called the Hypocritical Oath. I’m furiois. I’m also crippled. Thanks for 20+years of guinea pig and lab rat treatment and the hell of intractable pain, and addiction/dependence on Morphine, Oxycodone, Oxycontin, Methadone, Vicodin/Hydrocodone, Hysingla, Fentanyl, Tramadol, Opana, and more…I’m sure I’ve forgotten some. Thanks, , for ruining many years of my life all for NOTHING! YOU are NOT professional pain experts familiar with brain chemistry, you are quacks who are out forr the almighty dollar. Oh, by the way, many, many of these so called doctors are addicts as well, and ask patients to share their meds…or they won’t write your scripts anymore. Stop blaming the patients! It’s a much, much deeper and darker assault and problem than Pain Patient Advocacy groups even have a clue about… You really have no idea unless you live with/without proper treatment or die because of greed and lies and all the bad hell on this earth. YES YES YES! Thank you! Please also keep in mind that we want access to OPTIONS. There is not a one-size-fits-all solution. Long-acting meds are not a sole solution. (Long-acting tramadol worked well, except that I was sweating so severely that I couldn’t sleep – but I manage well with the short acting version and it allows me to take it if I need it or skip it if I don’t). A single medication is not a sole solution. Medical marijuana is not a sole solution. Different meds have different side effects, potencies, medicine interactions, sensitivities and the way our bodies absorb them (body size, metabolism, genetics) as well as our lifestyles dictate what meds are a better fit for us. I am fortunate enough to work, so meds that won’t make me drowsy are a priority. Cost is also an issue, unfortunately. I developed an inconvenient allergy to Aspercreme (salicyte?) and for whatever reason, my body went haywire and I got adult-onset food allergies (verified by allergists with RAST/IgE testing). I would love to help any way that I can except fundraising. My husband has full body RSD and I have Lupus, arthritis and other chronic issues and these new laws are making me suffer needlessly. My poor doctors do so much paperwork that still gets denied and they have to jump through so many hoops that now they don’t have the ability to see as many patients. We can go to jail if we let an animal suffer needlessly but some of us have chronic illnesses that cannot be cured that I’ve known people that have attempted suicide because they feel that no one out there cares. This is the United States of America and while I understand there is a drug epidemic they, the government need to understand that people don’t ask for these diseases . I appreciate we’ve got a pain advocate on this committee but why in the hell do “pain patients” have all this government  interfering in decisions that should be (& once were) between a doctor & patient? The VA cut Veterans off strong pain meds, unless you’ve got a terminal Illness. I’d been taking an opiate medication since Apr. 1992 thru the middle of Feb. 2018 and I ended up quitting Cold Turkey!!! I’m afraid by the government cutting Veterans off it’s going to cause the average of 22 Veterans a day committing suicide to jump way up there!!!!! Of course that is what the government wants is to get rid of all Veteran’s!!!!!!!!! So this cpp advocate is saying that there need to be new was to help chronic pain not that people that were functional with pain meds have lost their function due to government, cdc,insurance companies and media. These people with rare debilitating incurable diseases have tried so many things before pain meds.So yet again no one pushing for us to get what has worked for so many i am afraid.This pain advocate should not be another alternative treatment pusher.our lives won’t wait for them to find them or for us to get used to whatever they deem publicly accepted. God Bless this lady for representing us as a member of this panel. Thank God she was appointed, thank God someone saw the need for someone like herself to represent the millions of chronic pain sufferers all over the country. Without her input, we may have never had a voice in this outcome. I feel better now about this particular panel. Thank you for your article and thank her for her hard work. It is truly a dying shame that any use of opioids for chronic pain is considered a weakness and therefore should be avoided according to new guidelines set forth by our governmental authorities. However, much like our revered president who claims “witch-hunt!” every time he is accused of some misdeed, we must realize that most people in our fine country are blissfully ignorant of knowledge and education about the subject we are discussing, the use of pain-killers that work and have been used by civilizations since poppy flowers were discovered. This was a logical common-sense treatment citizens afforded themselves when in pain. It was generally accepted practice for pain and emotional suffering as well. Unfortunately, society here in our wonderful freedom loving nation is akin to a herd of lemmings running to the cliff’s edge every time a politician yells “boo!”. In other words, we are our worst enemy in that we have forgotten so many of our wisdom’s and common sense applications for what ails us. Remember, those who forget the past are condemned to repeat it. We rely on government to tell us what to do and how to live because we are not smarter than our ancestors if we are being fooled into allowing others less wise than ourselves to lead us. Libertarian doctrine has some interesting points to consider, and maybe we need a change of leadership. Absolute power corrupts absolutely, so give up leading yourself and you have allowed others to lead you. Stand up for yourself and start speaking truth to power by starting a protest group dedicated to change and ideals that our United States of America actually represents! Freedom to choose a lifestyle that doesn’t hurt others and being responsible for your own destiny. Refuse to be a robot! Vote for a third party! I just can’t see either of the two dominant parties really changing anything to help CPP’s get what common sense dictates by the example of proven history. 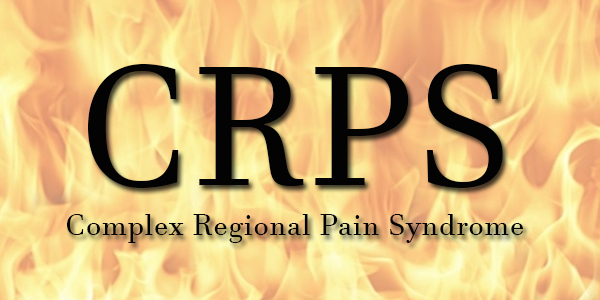 Cindy has been on the IPRCC and did not call for a vision or energetic plan to improve pain care. She was put on that IPRCC and on the new committee for the sake of institutional persistence, the status quo, and to promote the occupational strategies of the AAPM and APS who have quangoed pain care in DHHS. None of them care enough about people pain to set the world on fire or create the symbols of a new day. They’ve created an iron cage of poor pain care that has forbidden evolution for 50 years. They have forgottten how to dream and create plans that are meaningful and manageable for them. They havent allowed for full participation of people in pain in planning the NPS or in who is on the Pain managerialism task force. So much for democracy in pain care. Ms Steinberg doesnt believe there is a need for pain care to be much different or better then it was ten years ago. She like the members of the IPRCC and pain task force lack vision, motivational intensity, moral imagination and damn us with feint hopes of much better pain care. Pain care continues to walk in the valley of death and people in pain are wandering thru the desert thirsting for better care. As a pain care advocate, it is clear to me government stands in the way of progress and uses Ms Steinberg in an effort to keep going round in circles. Anytime Ms Steinberg and her colleagues in the AAPM or APS wish to debate me in public… it doesnt look like Im running away. But theyre deaf to doialogu and believe they stand in the light of nature- whilst us Lilliputianed citizens are stuck in Platos cave. Praise God! Finally someone on our side. I pray her voice won’t only be heard but will be understood and taken to heart as well as action, as she will be speaking on behalf of all of us. Something just has to be done!! It’s a disgrace and total shame that we have unnecessarily suffered because of others being so cruel as well as ignorant. We all know that wealthy and politically connected people and their families will be treated for pain with opioid medications because doctors know they are truly the only thing that relieves severe pain. Those of us less fortunate will have to take aspirin like dr. jeff sessions recommends. I will not be satisfied with nothing less than being left alone. I function just fine on opioid medication. NOTHING else has worked. I have never over dosed or had any issue other than being cut back and pain returning. I hold positions in my church ( LDS) where I serve others. Pain will prevent that. So what good comes out of prescribing less than controls my pain. Trump addressing the NRA made the point how the bad guys use cars to kill people and what should we do he said, take away cats? ,manufacture less cars ? I thought that was really ironic as that is just what is being done to pain sufferers. I guess we need to give millions of dollars to campaigns and we will get noticed and treated better. You are so right, and it is wonderful news that you sre on the committee. I hope you will be able to describe in detail all the conditions and diseases that cause chronic pain: CRPS, fibromyalgia, degenerative disc disease, Rheumatoid arthritis, MS, polycystic ovary disease, lupus, etc. it’s not just cancer. These diseases are very real and cause severe, often intractable pain. They are often “invisible diseases.” I heard one former doctor who had practiced pain management for over thirty years. It was made clear to him that he should either retire, or he would lose his medical license and/or go to jail if he continued to prescribe opioids. Almost all of these diseases have no alternative treatments. He had attended the funeral of the seventh former patient of his that day. None of these patients committed suicide by oipiods, but all were caused because the patients, unable to obtain opioids any longer. Most shot themselves because the pain was unbearable. The rest of the committee needs to know tgis us a fraction of what has happened. There will be many more suicides if they don’t exempt chronic pain patients from this ruling. If little bit I have been given gets taken I will be bed ridden unable to care for my young children .pay bills,clean house I will be back to laying in bed moaning and crying thinking of a suicide plan. Because without treatment my children will resent the fact I can not cook ,take them places or do anything else for them let a lone be a wife to my husband who works fulltime he already resents the fact I am not as active as I was when I was not in severe pain. Congratulations, Cindy Steinberg! Good luck and speak up loudly for you are speaking with a voice of millions. Be open and honest with us about your experiences. And let us know if you are given the respect and opportunity you are due. We will support you in any way we can – with thoughts, prayers and hope. I can tell (and in some cases, show) Ms. Steinberg the multiple problems I have with my lumbar and cervical spine, shoulders and right arm, and why I’ve been told by doctors that I am no longer a candidate for further surgery. I would also tell her that most pain patients I know HAVE been through a wide variety of treatment modalities–some which helped, even if just for a few weeks or months, to others that have actually caused MORE injury to my body. I’m at the end of my rope now after being weaned TOO rapidly (because almost ALL doctors are weaning or cruelly not dispensing ANY medications to patients that have been using them responsibly for years). I lost 11 pounds in 2 weeks because of the rapid weaning (and I was underweight to begin with). I have also been turned down by 6-7 PAIN SPECIALISTS who refused to take me on because I am on pain medications–and it’s primarily due to the fact that they are afraid of losing their licenses. I can’t believe I’m going to say what I’m about to say because it is so “unchristianlike”, and I am somewhat ashamed to say it, but–I wish Jeff Sessions or one of his close loved ones would have the problems I do (and the pain that comes with them). NO ONE deserves it more than someone who would say the terrible, uncompassionate and ignorant things this man has said. I’m crying as I type this because I have always said that I would never wish this even on an enemy (and until right now I never have). But I guess desperation makes people say desperate things and I hope God will forgive me. But the only way any person who is capable of saying the things this man has said might learn would be if THEY experienced what I, and many others, do. I do not want your pity Mr. Sessions or Mr. Trump–I just don’t want the government treating my medical conditions nor telling my doctors how they can or cannot treat me. Until someone can make OPIODS something other than – THE DEVIL ITSELF THEY NOW VIEW IT TO BE. Somehow, some way, the mere thought of a person being given OPIODS for every-day chronic pain relief, which rightly should be normal!, is now horrifying to just about every formerly rational thinking person! I don’t see it yet. It seems almost pointless because one has to beat around the bush with sweet, easy talk first. Other modalities, etc. The other options that people like me CAN’T PARTICIPATE In, ever, because going to such things is impossible even if they were free. The urgency is – their guidelines ARE being enforced and they are killing people, every hour of every day! THAT’S WHAT SHOULD BE DISCUSSED. WHAT ELSE COULD POSSIBLY BE MORE IMPORTANT? PLEASE, YOU NEED TO TELL THE DEA AND OTHER GOVERNMENT AGENCIES, THAT NOT ALL CHRONIC PAIN PATIENT’S ARE DRUG ADDICTS. PLEASE MAKE THEM UNDERSTAND…………..PLEASE. 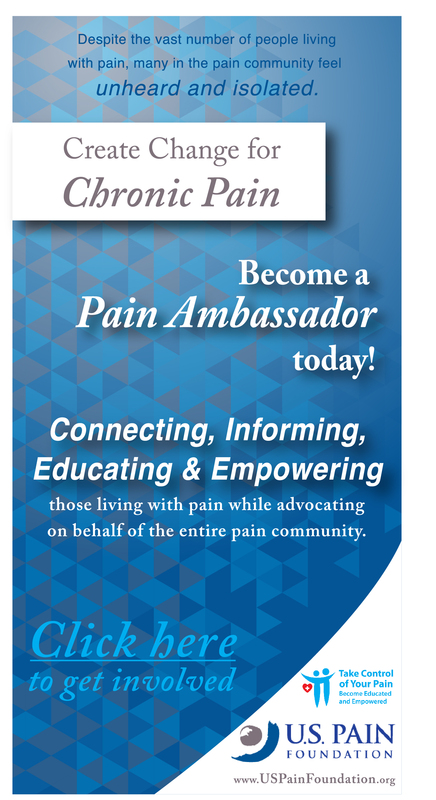 Cindy Steinberg is an excellent voice for the chronic pain community! It’s fantastic to see at least one representative from those most adversely affected by the changes leaving us with no options once opioids are gone. i am at the point with these people that I hear them speaking, but will they walk that walk. I sure hope there is cause for hope. I am so tired of suffering every day, immobilized at least one day a week, because I cannot get adequate pain coverage! My life the past two years has been a nightmare. Not one person on this planet appears to understand that a REDHEAD with an IQ well over 160 can figure out how to do everything possible competently and find that one medication is the only medication that covers her pain, and at what dosage. I have ulcerative colitis: I can’t take NSAIDs, aspirin; I nearly died from accidentally taking too many tylenol tablets. I tried all possible alternatives, like 6 months of acupuncture (did not one thing for my pain), alternative medications that were so horrible all I could do was wait for them to get out of my system to function at all. I strength train weekly, past 30 years, I am thin, (no obesity here, folks) and I have stage IV arthritis of both hands, entire spine, hips, knees. I need hip replacements (two of them), I need another new knee, to match the other); forget hand surgery. I’ve had multiple hand surgeries. I need hand replacements and those do not exist. I am very active. I will not consider a surgical procedure in this environment. I’ve had three episodes of hyper-algesia, two of them before I had chronic pain. Once the hyper-algesia is over I do not need pain meds. While I have it I cannot move. After my second CMC reconstruction, AIR hurt my hand. Nothing could touch it. It was swollen, purple and I thought I had RSD, I was terrified. But it passed. No pain medication needed after it passed. NONE. But while I had it…..Same with right knee replacement. I could not rehab the knee, I could not get the pain covered by my pain manager of 5 years. Had to find a new one, get a second procedure, then rehab the knee. That was before this totalitarian regime took over our government. I treat people with addictive disorders (dual diagnoses). Why in God’s name would I want pain medications in the opioid category? I tried everything else I could find before I submitted to the inevitable. An opioid (only one) that worked, led by the hand by my knee specialist (he was on the president’s fitness council, the one that issued the new regs for physical fitness. I train at the same gym he does.) I do not want to be on the medication. I must be on it to function. Redheads are more sensitive to pain and harder to medicate. Its not addiction its hair color. Only one member appointed to a panel of 28 that will advocate for the losses of pain management patients? Sounds fairly typical for dot/gov. It seems once again that the deck is stacked in favor of dot/gov. Patients now suffering worse with opioid medication prescribing “guidelines” just can’t seem to be heard. Even those with NOTHING short of responsible use of opioid medication as the last….fail safe against an other wise very bleak future of efficient pain management. Patients that could remain active enough to attend lifes daily necessities such as paying recurring debt, preparing our meals, bathing, lawn care if possible and simple activites have been put on hold through ineffective polices to thwart drug overdose. The situation for pain management patients with records stating no other recourse other than effective pain management with opioid medication are literally suffering to stop drug abuse? AG Jeff Sessions stated that 80 percent of overdose victims of who knows what combination of illicit drugs, alcohol and yes possibly even prescription drugs have used prescription medication. Does that mean that everyone prescribed opioid medication for both acute and intractable pain WILL overdose? That is totally absurd but, Jeff knows best…..right! When did the bar association start issuing a license to practice medicine with a law degree if granted a license to practice law? 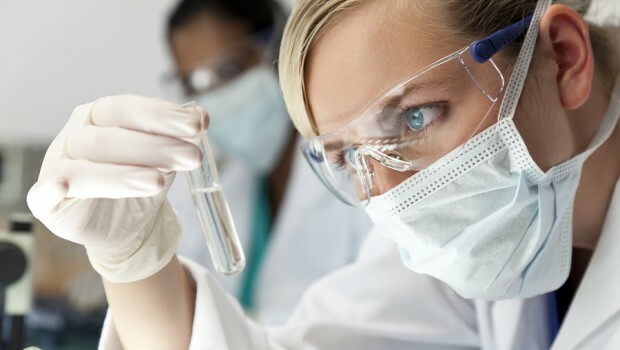 Successful patients that have benefitted with responsible use of enabling opioid medication in an effective dosage are not allowed to present our documentation and records of continued activity because it would bear truthful eveidence that prescription medication is not the sole instigating factor in the journey of drug abuse and overdose. As a patient of failed surgeries, opioid medication allowed me to remain active, employed, socially interacting and hopeful for 23 years. I have a question for Jeff. Where is my due process of a “crime” committed? When “possibilities” of committing a crime become punishable, we are all in trouble. If they would just let the doctors make the call on what their patients need all the suffering and death would end. The CDC guidelines should never have been written. Please make them understand the misery it is causing.This is a human rights violation. The laws are on the books. Thank God that a committee has finally been formed and that you have been put on it to represent a very large population of United States citizens. I know you probably already have this on your mind and one doctor did suggested that we request palliative care. I think it would be a good idea to organize palliative care treatment that up there would be different stages where our primary care physician can apply some of it specific pain management physicians can apply another part and for those that are in end stage treatment programs all could be fairly Managed. Right now a healing needs to take place where doctors don’t look at patience as drug attic’s and as drug seeking behavior. This somehow needs to be wiped from their minds. And the diagnosis of OUD managed. Right now a healing needs to take place where doctors don’t look at patience as drug attic‘s and as drug seeking behavior. This somehow needs to be wiped from their minds. And the diagnosis of OUD Needs to be completely omitted from the medical vocabulary because it has been unjustly and an appropriately applied to genuine patients that are compliant with their doctors treatment plan and care. 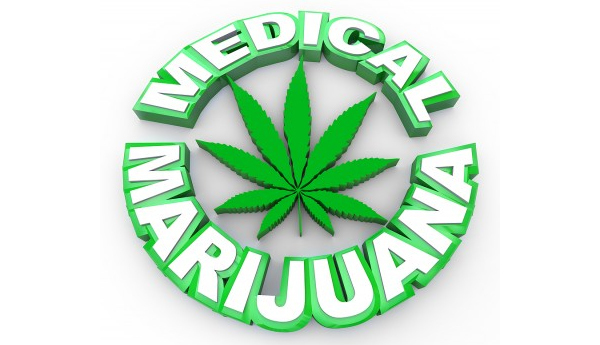 Needs to be completely omitted from the medical vocabulary because it has been unjustly in an appropriately applied to genuine patients that are compliant with their doctors treatment plan and care. The DEA and CDC should not have any form of control in the relationship between patients and doctors. If they believe that a doctor is illegally prescribing pain medication then they need to do a proper investigation and put an end to that. I saw in their records that they arrested for thousand doctors and close their practices. I hope that they were truly guilty And not unjustly charged. Stay strong and be true to yourself to God and to us. Great article Mr. Coghlan. Wow, just one of twenty eight people? That is a rather unsettling number. Just one? I guess it is better than none. Seriously doesn’t anyone think this is a might lopsided? But hey, one is better than none and I will take all the help I can get. Facility. All I can say is I definitely FEEL pain, fear, anger, frustration, anguish, desperation. I have been talked to and made to feel like a drug addict, low life, a nobody, a criminal & have lost so much, just bc I have pain. I have prayed for this day! A day that somebody can speak for the the ones who have been shunned; judged & even lost their right as human being in the USA; After having 3 different major anterior & posterior cervical fusions, a laminectomy, artificial disc replacement; a rectopexy w/large colon resection r/t bowel incontinence lost muscle tone r/t nerve damage/lost uncontrolled tone! accept the facts ..this was my life..and if i wanted any kind of “quality of life” i will continue to take the narcotics”! I have maintained the doses, reduced when i could, abiding by pain contracts, never asking for disability;now even though i will never hav relation/sleep in a bed, I am being told i have to reduce my meds, by someone who doesnt know ME, how will i work, eat? cant take this anymore, 17 yrs of more pain All bc they make judgement? I dissent in part, with Cindy Steinberg. The mainstream media have not “ignored…another side” to the pain story. Rather, the mainstream media have weaponized their coverage and directly entered the fight, attacking pain patients and spreading false narratives in support of patients’ enemies. An hour’s drive outside the New York City headquarters of the US mainstream media, is the campus of the State University of New York at Westbury. On that campus are the pre-eminent government-funded experts on opioids, who have researched the subject for over 3 decades. Their work is fundamental to understanding how opioids work. Any journalist conducting a Google search cannot help seeing that these scientists did this research, and are out there in Westbury, a short drive away, available to be interviewed. Yet not a one of them is ever interviewed by the mainstream media. What’s the big secret, that the media are afraid to report? I think that big secret, is the fact that our own cells secrete the drug morphine. That was proven in 1987 in Westbury. (Here’s a link to a review article showing some of the Westbury research: https://t.co/pzVCtYWkeu ). Admitting that opioids are supplements, adding to the effects of natural substances already in our bodies, completely ruins the myth of becoming “Drug Free”. Once we admit that it’s impossible for anyone to have zero milligrams of morphine in their body, we can’t very well have a policy that seeks to solve every social problem by building a wall that keeps dangerous foreign substances out of America. We instead would have to begin by admitting that those social problems are real. Although I feel there should be more than one …this is a good thing! I wish Cindy (and the others on the committee) the Best of All, with communicating the needs of the CP community. I do hope that a large part of their discussion will represent the dire need of continued Opioids for those of us who know, without a doubt, that this is the best mode of treatment for us. Us, meaning those who have already tried all other modalities (or not), who know their bodies and pain issues best and need to be heard. And that we are never going to be ‘one size fits all treatment’ population. Not to say that some other ‘modalities’ may help ‘assist’ our pain management (but without our medications it tends to be impossible to use those modalities). Point blank. Therefore I do hope that they can get other treatments covered by insurance so that many can use them. Yes, I have become a cynic. Perhaps that’s because I’ve heard the words: “manage”, “despite” and “treatment modalities” used over and over again as an excuse by medical professionals for refusing to write opiate prescriptions. Those of us who are fortunate enough to receive any opiates are now being told that we can’t be trusted with effective sleeping medications (Ambien, Zolpidem) because of the possibility of overdosing. In their opinions, it’s “challenging” (another favorite medical term) to get sufficient sleep when being tormented by chronic pain, but far better we stumble around in a sleep-deprived haze than risk overdosing on 5 mg of Ambien per night. I sincerely hope I’m imagining trouble where none exists, and that Ms. Steinberg hasn’t drunk the anti-opioid Kool-aid served to everyone in government and the medical profession. The fact that Americans are dying because they’re overdosing on illegal fentanyl, heroin and multiple doses of diverted prescriptions seems to have escaped lawmakers and the media. In troubled times, everyone needs a bad guy to blame. 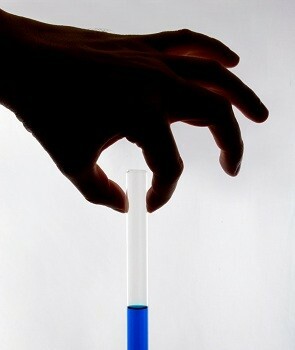 Today, it’s become the addicts’ turn in the barrel, and tragically, chronic pain patients have been shoved in with them. Praise the Lord, Jesus, may this be the first step toward our voices being heard! Whatever the reasoning behind the asinine action these DEA agents and their affiliates are taking with this so called “opioid crisis”, the consequences of their actions must now have reactions in the form, and from someone or something they will hear! It’s not the opioids!!! It’s the people who abuse and misuse them!!! These people (DEA) have the resources to determine who these people are who are abusing and misusing them yet, they are going after a large population of obviously very sick and weakened, and in some cases totally defenseless people!!! Thank you, Cindy, and may God be with you and bless you with favor and a voice which will be heard as far as the east is from the west. I hope your advocacy appointment helps us sooner than later because as of January 2019 when the CDC 90MME mandatory regulations come into play with Medicare it will put me in a wheel chair if I can’t find affordable insurance away from Medicare. By getting off Medicare will allow me to have a morphine pump but that won’t be enough for me because I am head to toe of diseases that all cause chronic pain and inflammation and a pump is only one direction and I would need more medication to take care of my spine damage that is from S1 up to my brain stem. A pump will only cover my lumbar and legs, so though it will be better than nothing, my quality of life will still be null because of my conditions that reach through my entire body. Medicare will pay for everything for a morphine pump but the medicine which is upwards of $2,000/month and being on SSD with Medicare how am I going to afford that? It’s great to see the appointment of a patient advocate to this panel. But I’m disappointed by her answers to your questions only because she makes no specific reference to advocating for allowing use of opioids for chronic pain patients until and if another equally successful pain relief method is found. We need to hear that people are fighting to lessen the stigma surrounding opioid use in chronic pain patients. Like me. She States about options to manage chronic pain, What does she think about the opiates being prescribed to chronic pain patients when opiates are the only option, When all the other options has failed.